If our finest California almonds are our pride, then Unsweetened Almond Breeze® is our joy. We simply take our delicious California almonds that we lovingly grow with all the goodness nature packed into them, to make our delicious lactose free, dairy free and soya free drink. With no added sugars, Unsweetened Almond Breeze® is just 13 calories per 100ml that's less than half the calories of skimmed milk and unsweetened soya milk. It's also a source of calcium and is low in sat fat. Amazing hey? Pick up our home grown goodness in the chilled and long life milk aisle. 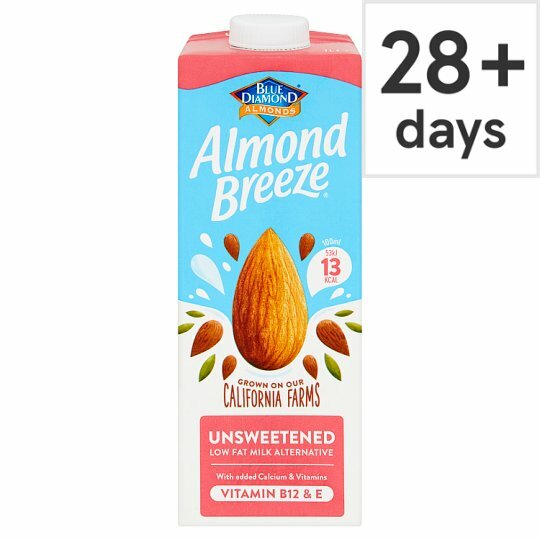 *Comparison based on Unsweetened Almond Breeze® at 13 calories per 100ml versus leading brand unsweetened soya milk at 31 calories per 100ml. Almond Breeze® is a delicious way to be good to yourself! We are the Almond People! Our growers are hopelessly devoted to one beautiful nut - the almond. At our sun-drenched Californian cooperative, it's all we grow. And, while we're endlessly proud of our 100-year history, we're even more excited about the future - and bringing our home-grown goodness to more of you. There are lots of lovely ways to enjoy our deliciously refreshing alternative to milk, from whizzed up in a smoothie to poured over granola.